Hey Dolls! Happy Monday. I hope you are all having a great day so far. While I was thinking about what look to come up with, I had no clue what to do. I needed some inspiration-then I saw her...my good old Barbie doll. When I think about Barbie colors that come to mind are pink, purple and white. 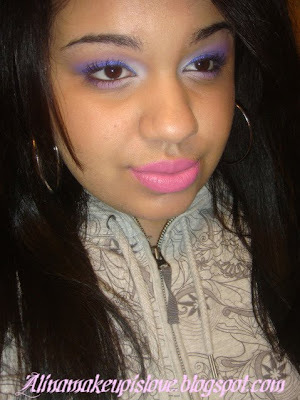 I incorporated those colors in my Barbie inspired look. In the inner corners I added a white matte eyeshadow, and next to that for the rest of the lid I added a matte lavender eyeshadow, and blended both together. I wanted to attempt a "cut the crease" sort of look, so I took a dark matte purple eyeshadow and applied that to the crease area and blended away! I topped off the look with purple eyeliner, pink lipstick, bronze cheeks, and loads of mascara and was good to go! 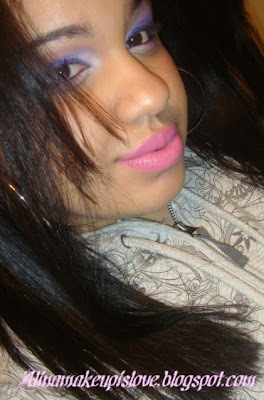 Here are pictures of the look and products used listed below. I hope you all enjoy and thank you all so much for stopping by! Note: I did this look right before bed and I was extremely tired, so please pardon my tired look :( But I just had to do a look before heading in, I couldn't help it-it's the makeup addict in me. By the way...it is freezing here in NYC...It's insane! I would honestly rather stay home than face the coldness...I can't wait until summer arrives. I have a feeling it is going to be a good Summer. But in the meantime, make sure you all stay warm and toasty! haha i know how you feel! sometimes im soo tired too but i can't resist makeup haha.. Pretty! I like the purple liner part. @Rai-Thanks! I don't usually do purple liner, but I loved how it turned out. 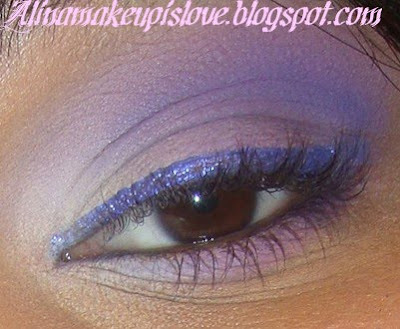 I am going to rock purple liner more often.